Some 2,700 miles away, at a road course in California, Curry finally made it to his first race. 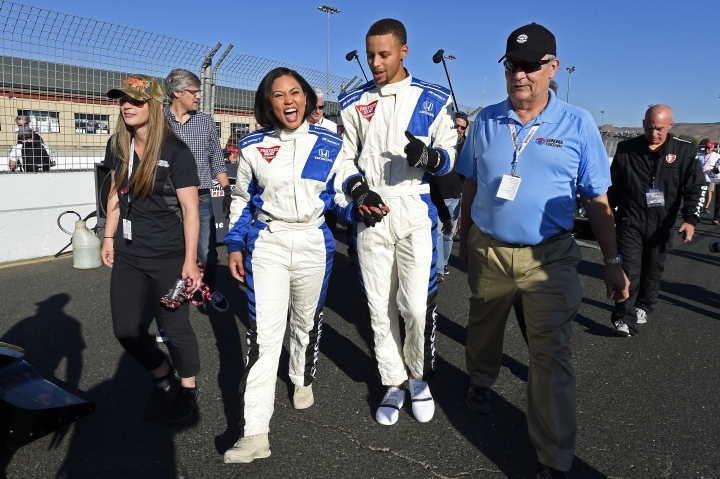 The two-time NBA MVP paid a visit to Sonoma Raceway on Sunday as the supportive husband to wife Ayesha. 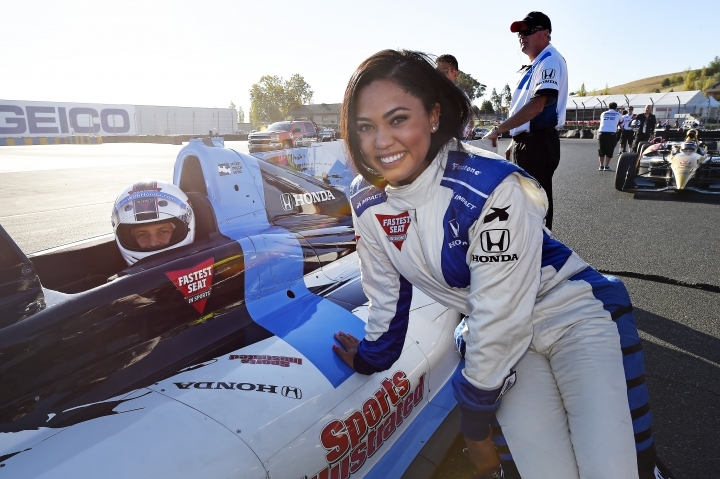 It was Ayesha Curry who was named grand marshal of the IndyCar season finale, and Stephen Curry had no problem stepping into the shadow of the budding celebrity chef. "She's got a great thing going and I am supportive of the things she's passionate about: cooking, her lifestyle platform," Curry said. "So to see that be recognized and give her opportunities like this to just get out and have some fun, I am happy to support her." Curry, star guard for the Golden State Warriors and one of the biggest names in the NBA, said his wife is the true celebrity in the family. He's had fun on social media trying to follow some of her recipes, but said he's got a long way to go to rival her. "It's no lie that I can't cook for anything. If my family had to choose between me and Ayesha, they'd choose her every day of the week," Curry said. "When her book came out, I took it and three nights in a row made dinner. It was groundbreaking, but I just got in there and followed the recipes." His experiments? Steaks, Italian sausage pasta and bananas foster.